Nearly everyday, either to or fro work, I drive through what has to be the prettiest cemetery in the world, Lake View Cemetery. And yes, there actually are gorgeous views of Lake Erie (from the turrets of the mini-castle housing the remains of former President James Garfield) as well as views of two other internal lakes (not the mention the giant dam, circa 1970’s!). This drive makes for some of the most peaceful moments of my day. The huge oak trees sheltering fragile, two hundred year old stones and the breathtaking Tiffany glass mausoleum set on rollicking hills create a serene landscape unlike any other I’ve found. I’ve spent time in other cemeteries, mostly in Europe, searching for all the late Greats’ headstones, but I’ve never felt the connection like I do in Lake View, where there are trolly tours on Sundays and joggers on Saturdays and were I go to work on my oil pastel technique from time to time. I think this association is incredibly healthy, as it erases fears of death, transcending into a more peaceful place. I used to think of cemeteries strictly as graveyards, as if it were always Halloween inside the creaky, cast iron gates. Or as places of great abandon: roadside graves that were once battlefields. With this gradually shifting attitude adjustment I am able to embrace ideas like Spanish designer Martin Azua’s Bios Urn. 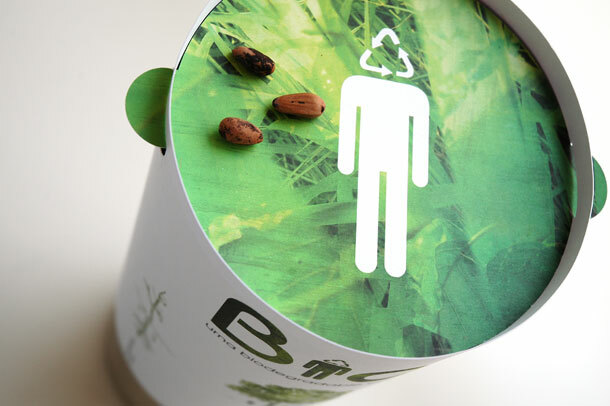 It’s a biodegradable urn made from coconut shell, compacted peat and cellulose and inside it contains the seed of a tree. 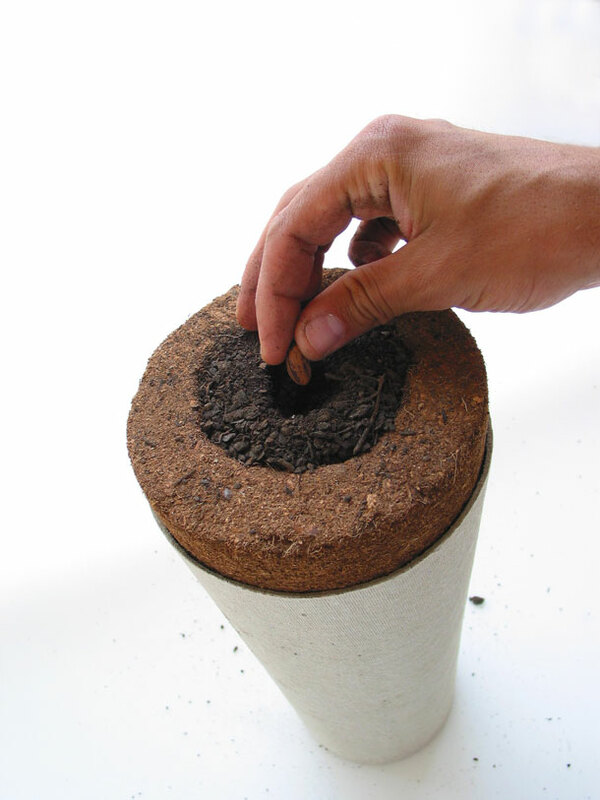 Once your remains have been placed into the urn, plant it; the seed germinates and begins to grow. Amazingly, you can chose the plant you would like to “become”. Now, regardless of your religious beliefs, whether you’re a Buddhist or not, you truly can come back from the afterlife as another living thing! 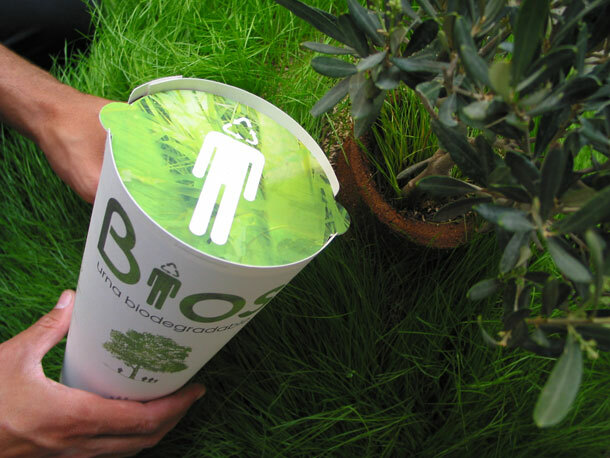 What’s especially appealing about this concept, aside from the obvious low-carbon-footprint benefit of more trees than decomposing bodies lying around as the population continues to expand, is that you could easily adopt the Bios Urn in an existing, traditional cemetery. The trees and plants in Lake View (it is also an arboretum) create a serenity and park-like feel that encourages use. There is nothing worse than a little engaged cemetery, and here in Cleveland, the cemetery acts much more like an active public space than a burial ground. Just think, instead of dedicating a rose bush in memorium, you could be that rose bush, flowering for your loved ones season after season.